Doodle Smash is a great game for Windows 8 and 8.1 devices wherein you have to smash the monsters which appear on your screen. The game works best on touch screen devices, although it’s fully playable and enjoyable as well on non touch devices too. The game when launched will show you the main menu from where you can tweak the game’s options, or choose to start the game itself. Once started, you will be presented with a screen where the monsters will appear on your screen and continue to grow in size, and if not killed by clicking or tapping on them, will explode taking away one life. You get three lives in the game and each explosion costs you a life. Doodle Smash is available for free from the Windows App Store. Launching the game will take you to its main menu which looks like the screenshot attached below. The main menu is very minimalistic and offers you options to either start the game or view more games by the developer. Clicking on the Play button will start the game and take you to the gameplay interface which can be seen in the screenshot below. 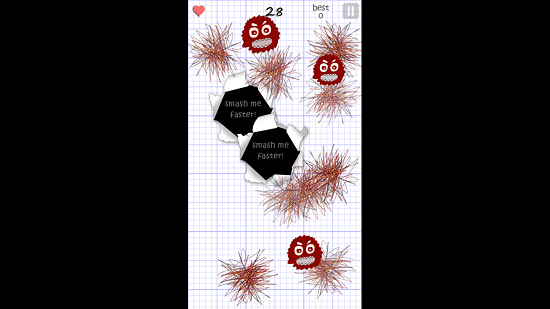 In the gameplay screen, monsters will appear on your screen and you have to click on them or tap them (on touch screen devices) before they grow in size and explode. If they explode, they will take away a life. 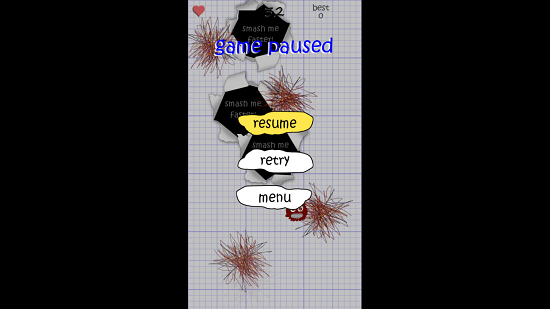 Your remaining lives are shown at the top left corner, the score at the top center and best score and the pause button at the top right corner. You start off with three lives, and if you pause the game, you will be shown the pause menu shown below. You can choose to resume, retry or access the main menu of the game from the pause menu. 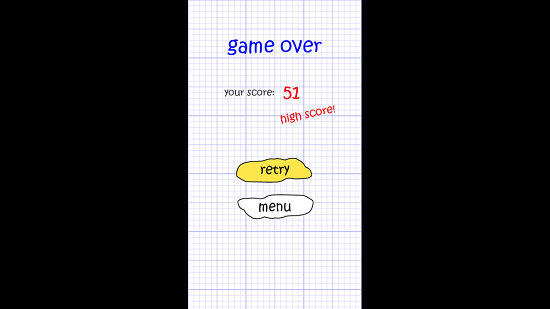 It’s game over if you run out of lives, and at the game over screen you will be shown the score that you were able to make. This is illustrated in the screenshot below. This is a wrap for the main features of Doodle Smash for Windows 8 and 8.1. 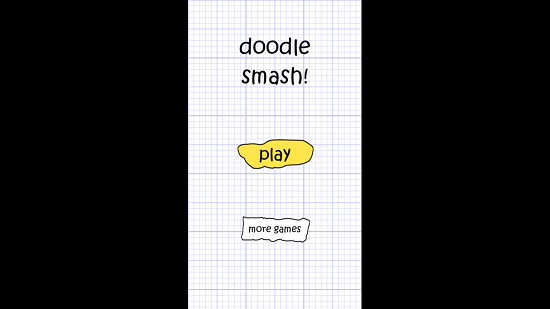 Doodle Smash makes for a good app which you can download and have for free on your Windows 8 or 8.1 device. You can grab it from the link below.